Heritage: Sḵwx̱wú7mesh - Squamish, Coast Salish. 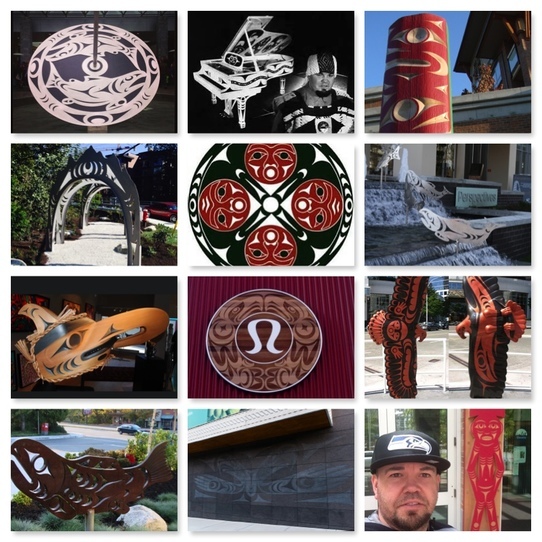 My name is Sinámkin - Jody Broomfield of the Squamish Peoples, Coast Salish. My creative life journey as an artist began in 1999. I pay homage to my mentor/teacher Klatle-Bhi (Cloth-Bay) for apprenticing and helping me become the better person I am today. Through this opportunity, I gained knowledge of our culture and arts, something that I wish to pass on to younger generations, when the time comes. I have proudly been involved with several Public Art Projects for the past 10 years and I am proud 2-time receipt of Public Art Award of Excellence. Charitable work (donated artworks) with Easter Seals House & BC Lions Society for Children with Disabilities. 12 North Sports Classic with Luke Willson of the Seattle Seahawks, helping raise funds for the Special Olympics BC & Youth Football Canada. I must say, I'm very proud of the decision I made.